Tough driving conditions won’t surprise even in summer when you rely on safe and durable Nokian Tyres summer range and their premium performance under extreme conditions. Masters all forms of summer with an enjoyable balance. The extremely stable handling and logical steering offer peace of mind for both high-speed lane changes and sudden braking. 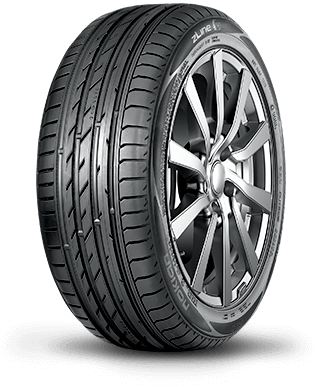 A safe and reliable summer tyre for passenger cars. Makes driving easy and comfortable even on rainy days with excellent wet braking abilities and powerful aquaplaning resistance. An AA-rated summer tyre, that ensures precise driving feel, optimal comfort and reliable top performance under all weather conditions. Designed especially for drivers who desire an enjoyable driving feel, uncompromising safety for any weather and green and economical driving comfort. Masters the rapidly changing summer weather, offering the best possible grip and precise driving feel even at high speeds. The sporty professional of demanding driving situations. Responds immediately to steering and maintains a perfect feel for the road under all conditions.